Slabs are repurposed from an Ash tree killed by Emerald Ash beetle and legs are made from branches of a maple tree. 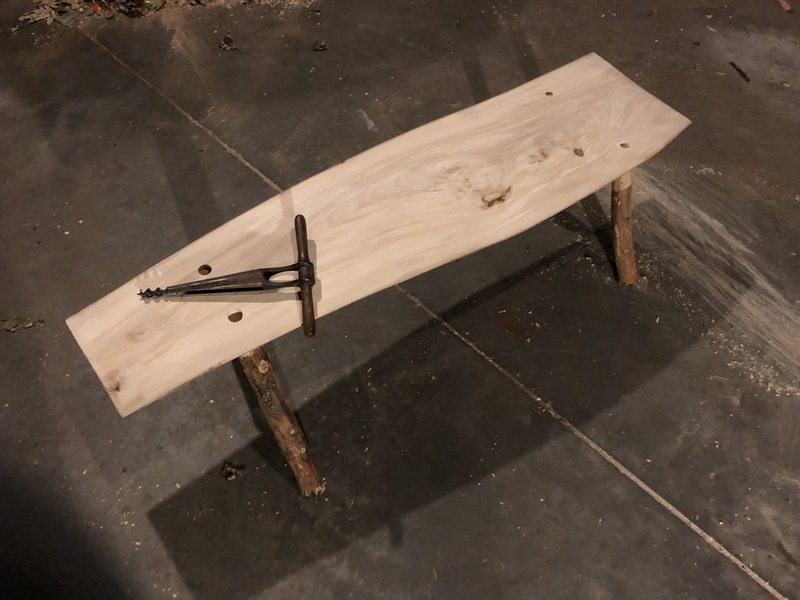 Slab bench seat is cut from a maple tree and legs are larger tree branches. $75.00 with free delivery in Kingston, Ontario Area. 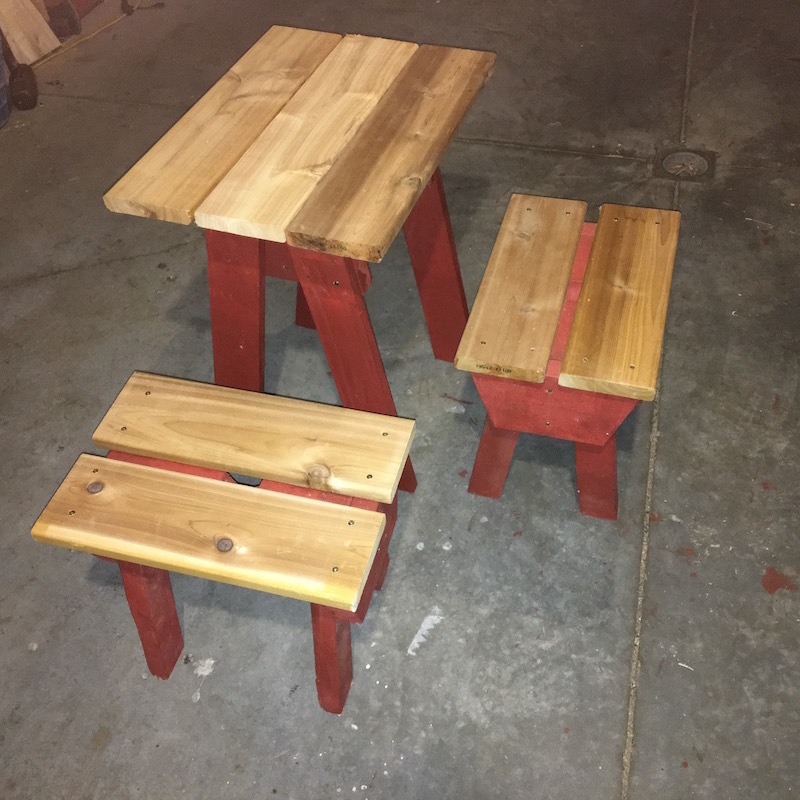 The two benches are ready to be finish as desired with oil, stain or epoxy. 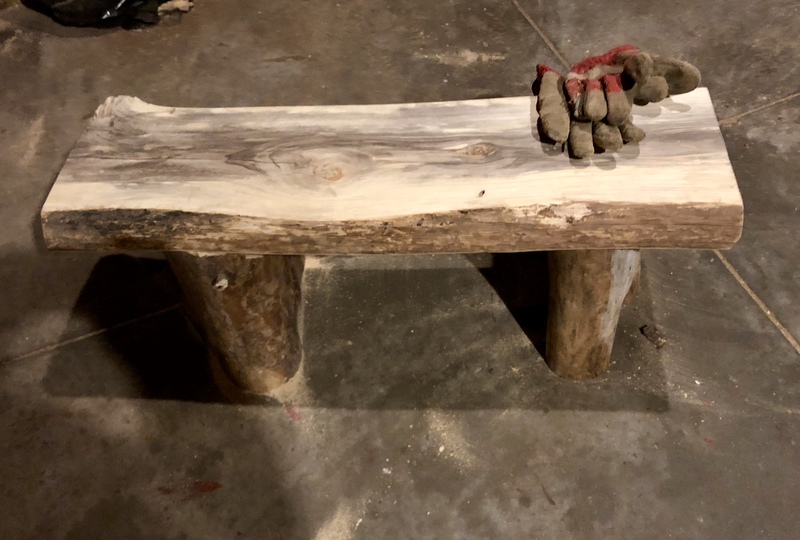 If you would like it finished for you, let me know and I will cost it out. 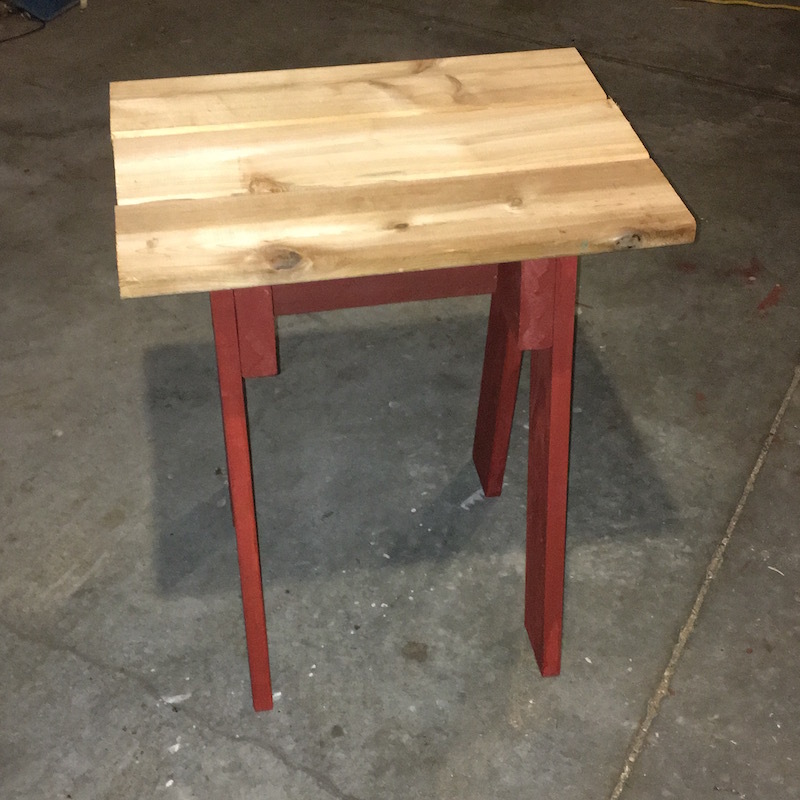 Maple top stool / side table with unique ash branch legs. The unique patterns on the legs and side of some the items are from larva of Emerald Ash Borer beetle. They kill the ash trees - leaving the tunneling under the bark as it feeds, cutting off the flow of nutrients and water (Note: no beetles are left once I remove the bark). 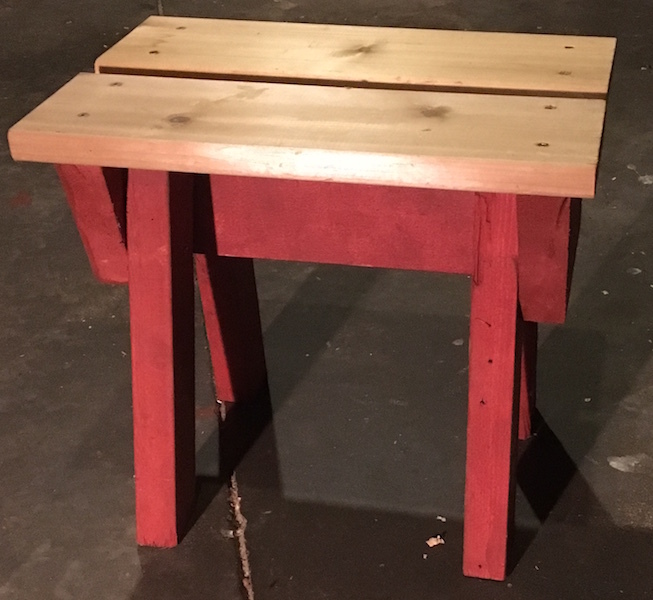 Hot Deal: 2 Stools and Table $25.00. 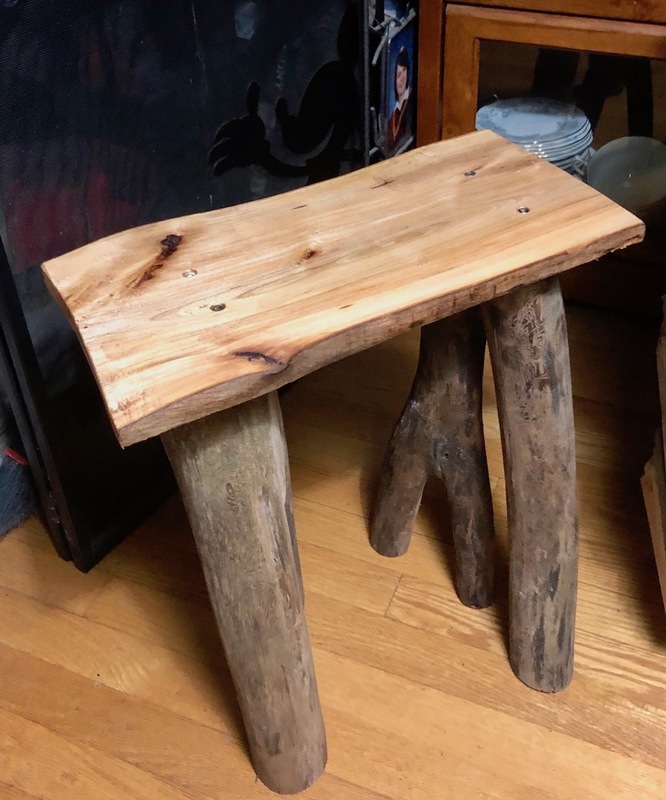 Great for the garden or deck to play games at or eat. Light weight. 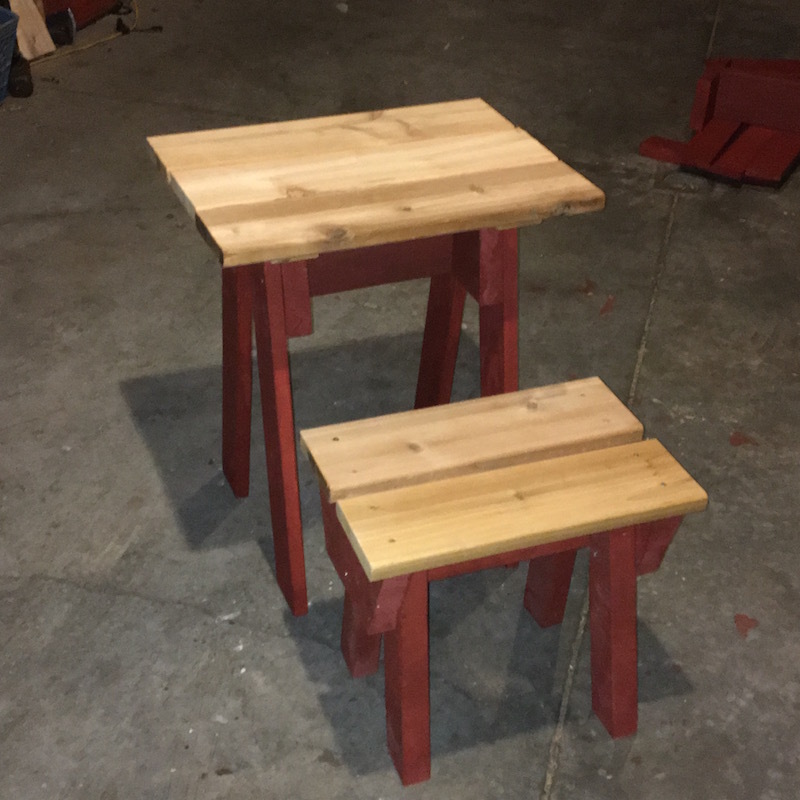 Stools may be stacked on the table for storage. Please contact us to see our current inventory or order custom work. Delivery free available in the Kingston Area. Shipping available for some items, the cost depending on location and item being shipped.